You’re hiring. Your ecommerce operation is growing. You need help. But how do you find that just-right person for your company? I recently had hiring opportunities. I added five roles to the ecommerce group I manage. I needed a couple of site merchandisers, an additional developer, a digital marketer, and an ecommerce jack-of-all-trades person with a title of ecommerce specialist or similar. I wanted good candidates, so I needed a large pool of potential hires. That way I could be choosy. I learned a few interesting things in the process, which I’ll share with you in this post. At a basic level, the job description you post on, say, LinkedIn, Indeed, Authentic Jobs, or Remote.co is an ad. But do you treat it like an ad? Is the description written, for example, with the same care you would use for ad copy? Do you A/B test the headline? Is it optimized for search engines? For example, you want to use the keyword phrases in your job description that candidates are likely to use when they search a job board. If you want a digital marketing specialist, use that term, not a vague one such as “online ad ninja.” Would your best possible candidate type “ninja” for a job search? Do a little keyword research. What are the most common terms a job seeker will use? What is the most-used title for the role you’re trying to fill? When writing a job description, research keywords. What are the most common terms a job seeker will use? “Ecommerce Director” or versions of that term are common search phrases. Next, describe the benefits of working with your company. Tell candidates what’s in it for them. For an entry-level, professional position, the job could start the candidate on a career path and help her acquire marketable skills. A more senior candidate could be looking for a long-term, steady growth opportunity or perhaps equity. So why not say address that early in the job description? Round out your description with information about responsibilities, requirements, and your company. Depending on the survey, something like 70-80 percent of workers who would be a good fit for the role are not looking for a job. Nonetheless about 87 percent of all employees ― actively seeking positions or not ― are open to new job opportunities, according to LinkedIn Talent Solutions. This means that to cast a wide net you must find ways to reach these passive candidates in addition to the active job seekers. You have to pitch your job opening to talented folks, whether they are browsing job boards or not. Think about it like advertising or promoting the products you sell in your online store. Some customers are looking for the products you sell. They go to Google, Facebook, or similar and search for things they need. You can reach these consumers with search engine optimization and pay-per-click ads. But some customers might not know about your products. They might not understand how your products will benefit them. And they are not going to look for your store and the things you sell. You need to reach them differently. Both sorts of customers can be profitable and desirable. 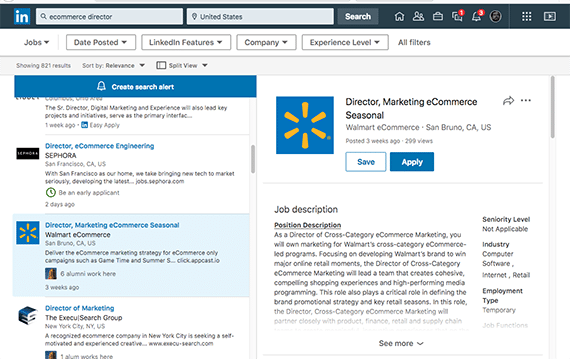 In the same way, you might be able to find your next hire with a posting on a popular job board, but there may be other candidates you’ll miss if a job board post is all your company does to attract them. Consider this scenario. Lisa met Mark at a soccer game. She knew that Mark was an executive at an omnichannel retailer, and she simply introduced herself. She had worked for the retailer from 1990 to 2001, a few years before Mark joined the company. Thus they had many common friends and shared experiences. Later, Mark learned about an opening at the retailer that might be a good fit for Lisa’s skills. Mark told the hiring manager about Lisa. That manager spoke with three current employees who knew Lisa from the 1990s. They all gave a glowing referral. The hiring manager called Lisa, interviewed her, and hired her. In the end, less than a week had passed from soccer game to offer. When you’re hiring for a new position, ask your current employees for referrals or recommendations and consider paying a monetary bonus if you end up hiring the person they suggest. “Ninety-nine percent of the time your best hires will come from your staff’s combined network,” wrote Peter Kazanjy, founder of TalentBin, a talent discovery network that Monster recently acquired. Don’t discount remote workers. For many professional ecommerce jobs, there is no reason your candidate has to work in the same physical location as his or her colleagues. If your company targets active job seekers and uses your employees’ networks, you should be able to attract many candidates for each position. And having many good options means that you can be selective, hiring the just right person.